TAFS Attorneys are one of the countries best trial attorneys who combine both expertise and experience to defend victims of fraud, negligence, and mismanagement. 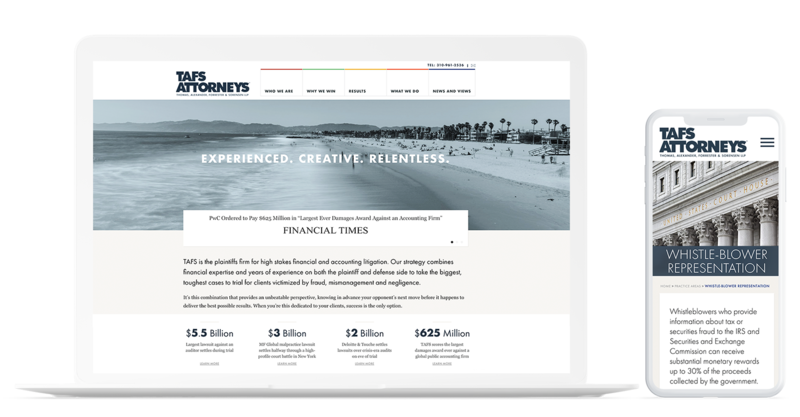 We helped redesign and reorganize their website to represent the high level of professionalism of the firm. This allowed them to promote their services to potential victims. Read the entire case study.